Have you ever wondered what simple things you can begin to do right away to make dramatic improvements in your life, health and overall wellbeing? Do you wish you could do something quickly that provided a huge and immediate benefit? Well Thanksgiving reminded me of the power of Giving Thanks! The power of thinking thoughts of gratitude and experiencing heart-felt feelings of gratefulness is the simplest and most incredibly effective thing you can begin doing this very moment to improve every aspect of your life. DO NOT TAKE THIS LIGHTLY AND BRUSH THIS OFF AS A SILLY FEEL-GOOD WITHOUT SUBSTANCE SUGGESTION! As a long-time Holistic Health Counselor and Triumphant Life/High Performance Coach, I focus on the relationship between mind and body and how these two areas jointly affect our health and wellbeing, both physically and emotionally and our overall level of success in all areas of our lives. It is amazing to see how the mind and body are not two separate things but actually one and what we do with one clearly affects the other. Having difficulty dealing with negative stress has been proven to be a leading cause of illness. If we do not take care of ourselves, the problem is exacerbated. For example, if we do not sleep well and eat poorly, it is no wonder that we feel irritable and unable to deal with stress and may even become depressed. Also, if we often focus on negative thoughts such as fear, anger and worry, we block the flow of energy in our body and added stress may suppress our immune system leading us to illness and disease. On the other hand, when we choose thoughts of hope and peace and gratitude, we feel better physically and emotionally and begin enjoying life even with its ups and downs. What’s interesting is that gratitude helps us to deal with stress and feel better overall. People who practice gratitude tend to take better care of themselves too. When you give thanks for the food you are eating, you will feel more satisfied and fulfilled with your meal and you will have less of a tendency to overeat too. When we eat well and treat our bodies wonderfully, then we are better prepared to glide through the day facing any life challenges with ease and grace. This is helpful but what can we do to actually not just glide through life but to make advancements to a better life? Some say that gratitude is one of the best medicines for anything that ails us. Some feel that it helps to strengthen the immune system in a body that deals with daily stress. It is amazing how our thoughts impact how we feel physically just as much as rest, food and good water. According to Lisa Aspinwall, PhD, a psychology professor at the University of Utah, “There are some very interesting studies linking optimism to better immune function.” When you think thoughts of gratitude, it improves your brain and body chemistry and you feel a sense of safety and fulfillment. Feeling grateful also helps us to tap into a greater power and some feel a sense of guidance both from inner and outer sources. Many experts in the positive thinking arena speak about paying attention to your thoughts and they recommend that you practice choosing thoughts that feel better. It is not easy or even possible to go from a horrible feeling or emotion to immediate bliss, but if you can take one step forward with a small thought that feels better (such as how beautiful it is outside or how we are so grateful to have rain for the plants and trees), then we begin to bring forward more and more thoughts that feel even better. The easiest and most effective way to begin choosing thoughts that feel better is to practice Gratitude. There is no better time than now (Thanksgiving and the Holiday season) to begin this wonderful and healing practice for the mind and body. Simply make a list, either on paper or in your mind, of three to five things you are thankful for each day. I had mentioned in social media posts that if you do this for 21 days, you will begin to see major improvements in your life and you will find you immediately feel better physically and emotionally. One study found that those who regularly recorded what they were thankful for in “gratitude journals” on a regular basis showed higher levels of energy, optimism and enthusiasm about their lives overall. If times are difficult for you and you are having trouble finding reasons to be grateful, then look for even the smallest thing. Maybe it is your comfy chair or your cozy slippers or a wonderful cup of hot tea that you choose to be grateful for. Start anywhere and watch how you will begin to feel better both emotionally and physical and more reasons to be grateful will flow into your life. The reason for this, as I explain in detail in my Triumphant Life of Abundance online course, is that good thoughts and feelings raise your energy vibration and you dial into a positive frequency that helps you attract more positive things into your life. For example, what kind of results is someone who is living at low vibration thoughts such as anger fear and worry going to experience? Consider this versus someone who is living a life of joy and gratitude. As I like to say, happiness breeds abundance and success. Try to make this a daily practice until it becomes more of a way of living. 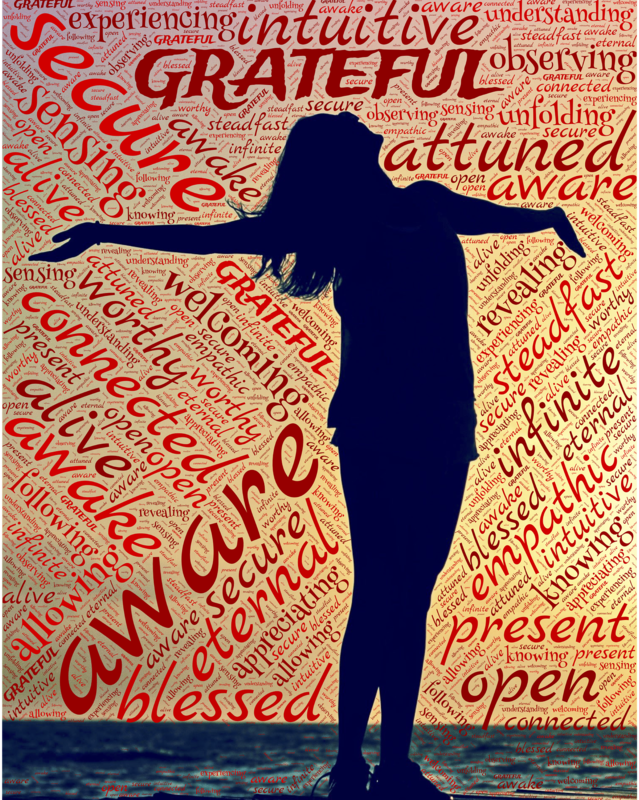 Like breathing, feelings of gratitude should be critical for life as it feeds the flow of life energy. Don’t wait until each night to think thoughts of gratitude. Try instead to stop and be grateful every hour on the hour as a trigger to remind you to enjoy feelings of gratitude all throughout the day. Living a life of gratitude is the best way to live. Be thankful throughout this holiday season and soon life will offer more reasons to be thankful again and again.